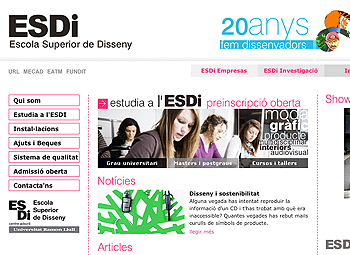 New website of the Escola Superior de Disseny (ESDI). It heralds the first phase in the renovation of its web portal and intranets. For the new design, we envisaged a clear informal style that basically connects with a young target. As for the information architecture, we decided to highlight the solvency and potential of a University School with 20 years' experience.